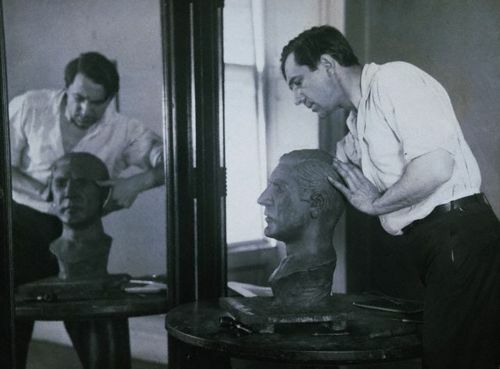 According to the play’s publicity material, Bela Lugosi was commissioned to sculpt a bust of himself for use in Murdered Alive. 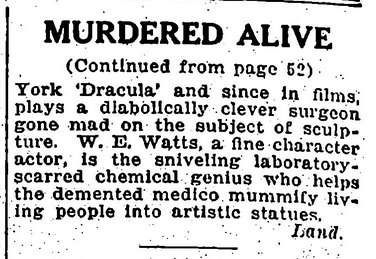 April 2 will see the production of “Murdered Alive,” which is billed as a thriller. 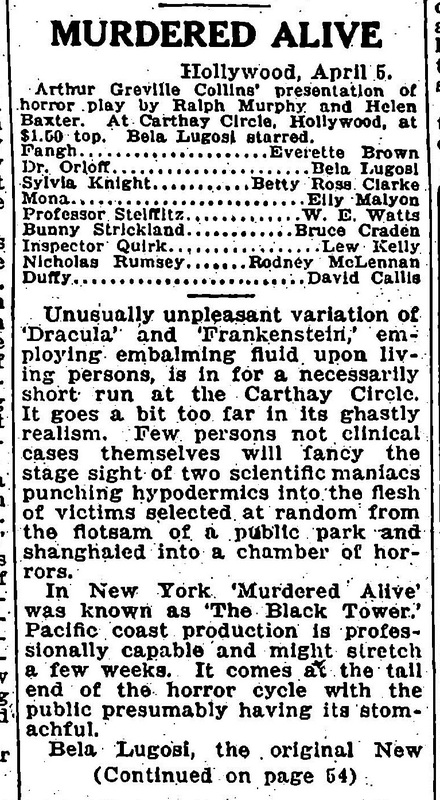 Bela Lugosi of “Dracula” fame will head the cast, among other players being Betty Ross Clarke, Rodney McLennan, Pat Flannagan and Eily Malyon. 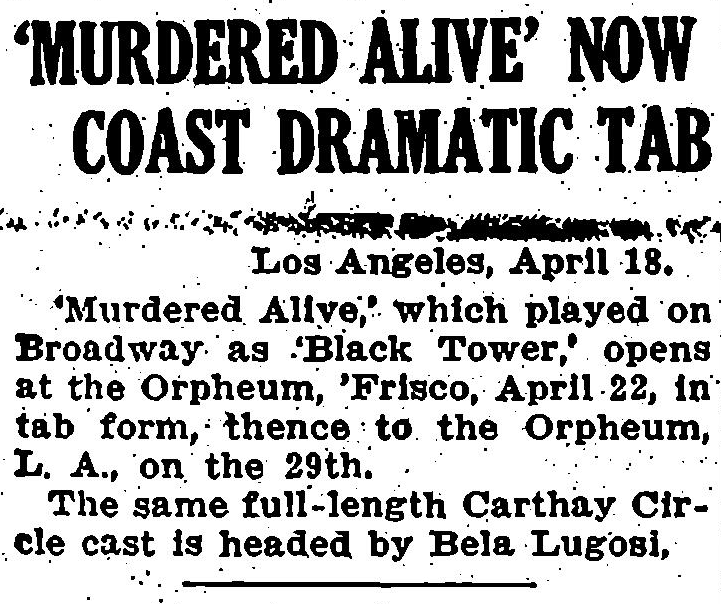 “Murdered Alive,” opening tomorrow night at the Carthay Circle, has for its leading character Bela Lugosi, the human refrigerator. 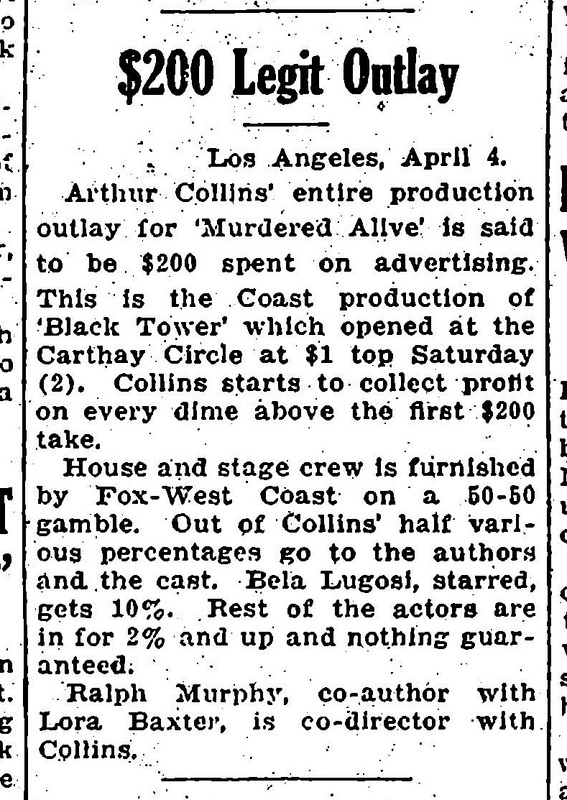 Those who enjoy blood curdling dramas are flocking to the Carthay Circle to see “Murdered Alive,” in which Bela Lugosi plays the leading role. Lugosi is known locally as the man who played the role of Dracula so successfully, and he is providing plenty of thrills and chills at the Cathay Circle. Betty Ross Clarke and Rodney McLennan are in the supporting cast of what is said to be the season’s outstanding Broadway thriller. 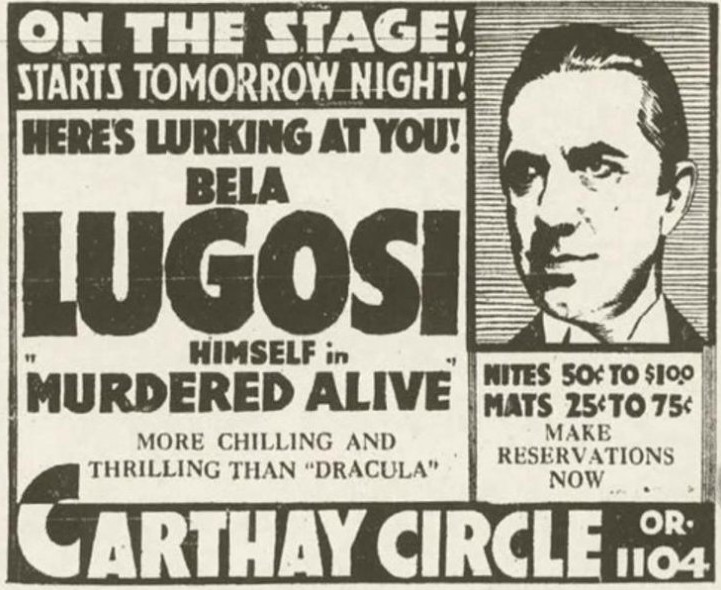 Bela Lugosi did a laugh-clown-laugh stunt at the Carthay Circle theater the other night. He tripped back stage, fell and broke three ribs, but went on with his performance of “Murdered Alive.” He probably felt just that way.